We are always proud to say that our wines are sold around the world, and sometimes pop up in quite unusual places. Apart from cruise ships and airlines our wines have been found at the London Olympics, in Hong Kong department stores, at this year’s Wimbledon, in hotels and restaurants on the island of Malta and even in a famous Winery restaurant on the Mornington Penninsula near Melbourne! To be honest, I’m quite sure that there are many other remote and unusual locations that we simply haven’t discovered as yet! Fortunately we also are sold quite widely around the UK, but we just didn’t know (until this week), quite how widely…. 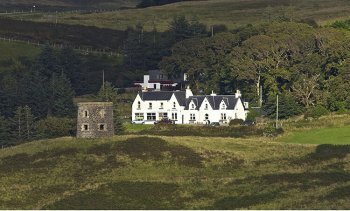 Our daughter (confusingly, also called Angela), was travelling around Scotland with her French boyfriend Matt, and hopped across to the Isle of Skye, in the remote northwest corner of the country. 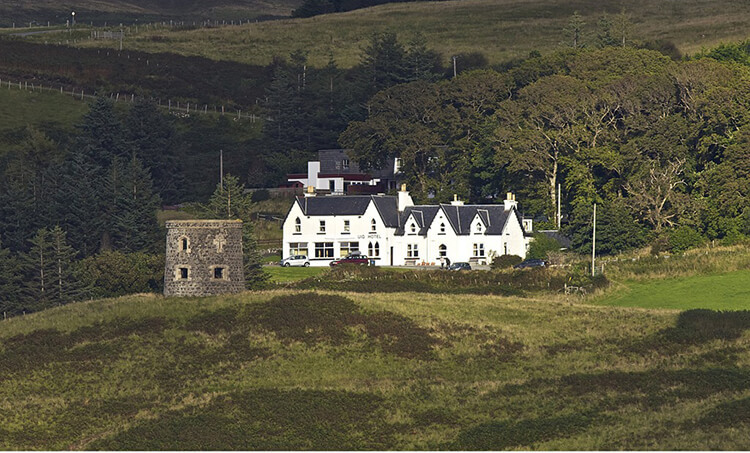 Clearly there is not a huge choice of places to stay, but they found the small but highly rated Uig Hotel, located, by coincidence, in a place also named Uig (not Portree – apparently that’s quite important). Imagine their surprise to find just one albariño on the restaurant wine list – our very own A2O ‘Sobre Lias’ – Slàinte!